Upscale fully equipped Hamptons Picnic Backpack for two w/blanket. 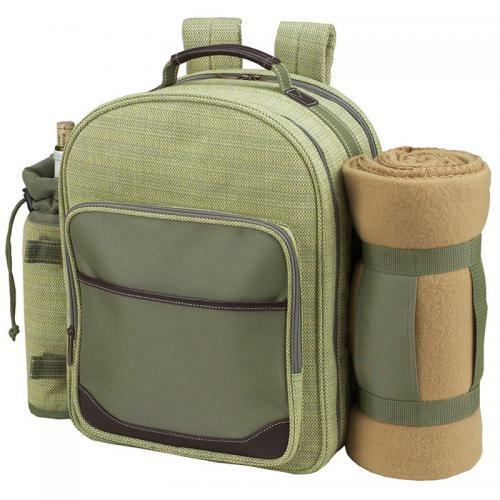 Features a detachable wine holder & Thermal Shield insulated cooler with removable waterproof liner, to keep food and drink at the perfect temperature. 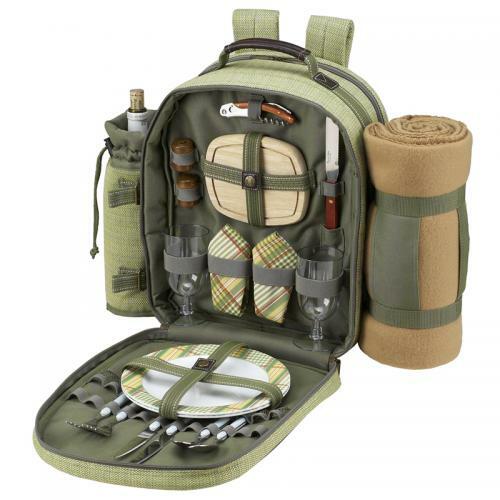 Also includes combination corkscrew, hardwood cutting board with juice groove, cheese knife, wooden salt & pepper shakers with non spill tops, acrylic wine glasses, coordinating 9" melamine plates, stainless steel flatware, napkins, and large fleece blanket with carrier. Easy to carry with ergonomic backpack straps. Excellent quality construction. 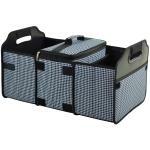 This modern picnic basket makes a wonderful gift. Constructed of Cotton tweed & 600D polycanvas. Designed and assembled in the USA. Lifetime warranty. Beautifully crafted. Huge hit at bridal shower. Most unusual gift of the day.